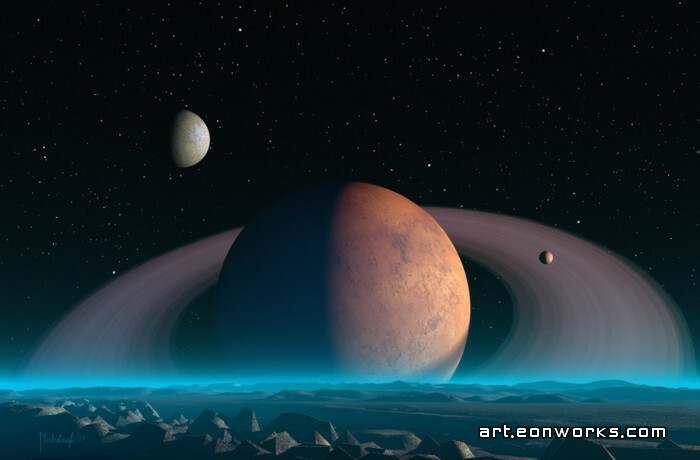 As I was getting ready to start working on this space artwork I put on Steve Roach's Dream circle ambient music album and started looking through my astronomy books... An hour later I was in the space mood - full of ideas and cosmic wonder. Although I knew what I wanted to do beforehand, getting into the right mental state has always been important to me. Without it, the creative process feels shallow or even empty. You have to sort of be there - inside your creation - to make it good. I love the depth and hint of a thin nitrogen atmosphere. I want to explore all of these places in my transport. hahah thank the artist not some fake idol like god. Oh wow. i whish i knew how to do something like that! I think is awsome. It is so inspiring to me about ASTRONOMY.I think it is so awsome.